NASA is making a bold move into space with a future ambitious mission that would be mankind's boldest search for life yet. NASA has just proposed something big, very big. In just a few short years, they want to send a probe all the way to Jupiter’s icy moon of Europa to dig through its 15 miles of ice to the gigantic subterranean ocean that lies beneath, and find what mankind has been looking for since the dawn of science: extraterrestrial life. Europa is one of just a few candidates within our solar system to host life, and a discovery of even the most basic form of life might be the biggest breakthrough in scientific history. 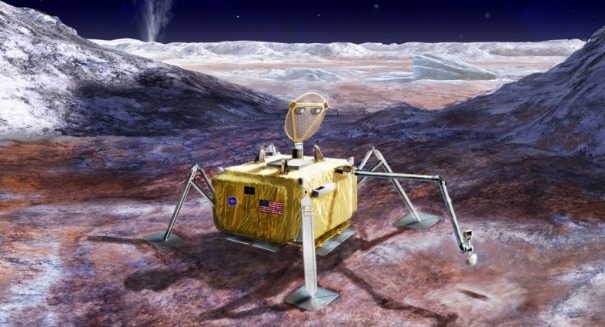 That’s why NASA’s Science Definition Team has detailed in a new report its mission to launch a probe by 2031 to fly 400 million miles to Europa and collect samples from that mysterious ocean. We’ve known about the ocean since the 1990s when the Galileo spacecraft first flew past it, but obviously it was unable to collect samples. And a Europa flyby mission in the 2020s will be an important precursor to this probe.